MDB files are uniquely associated with Microsoft Access 2003 and earlier versions of this database management system. These databases are stored in Access' own Jet Database Engine where the type of data is also subject to this engine. The corruption in MDB files is quite common and gives abnormal or random results on executing queries, while queries sometimes fail to result accordingly, mostly in cases of severe corruption in the table(s) accessed. 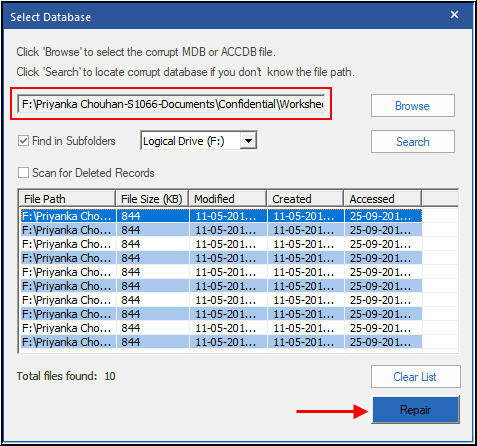 Although it is quite impossible to list all the factors that cause corruption in MDB files, still we mention some common errors appeared while using MDB files followed by common causes of MDB file corruption. Computer viruses and malware are amongst major causes of files/folder and databases corruption. In such cases, infected data files get some or entire information lost or overwritten by garbage values. As a result, each data retrieval query executed gives random results. In cases of severe corruption, the corresponding DMBS fails to read the particular MDB file(s). In order to run and process data properly keeping database objects intact, the computer must get proper power supply. Unexpected system shutdown or power failure might cause corruption in data files opened or being processed at that time. Consequently, there might be massive data loss or even the system boot failure. While the Access database is open or some application is using the MDB file containing the entire database of the project, closing the application all of a sudden or shutting down the PC without closing the application properly might result in database corruption. In fact, such scenarios do come into view very often. 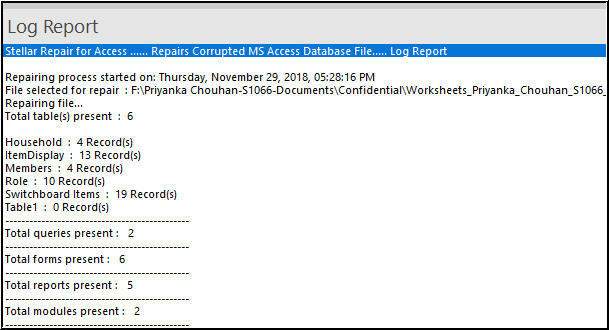 Microsoft Access has detected corruption in this file. The database is in an unexpected state. The database 'filename.mdb' needs to be repaired or is not a database file. Record(s) cannot be read; no read permission on 'xxxx'. Microsoft jet database engine stopped the process because you and another user are attempting to change the same data at the same time. Apart from the aforementioned error messages, there must be a lot of other errors flashing while reading the corrupt Access databases. In order to get the concerned access database back to its original state, you need to repair mdb file. 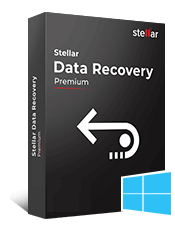 In order to repair MDB file keeping its objects intact, Stellar Repair for Access is an efficient and reliable tool. 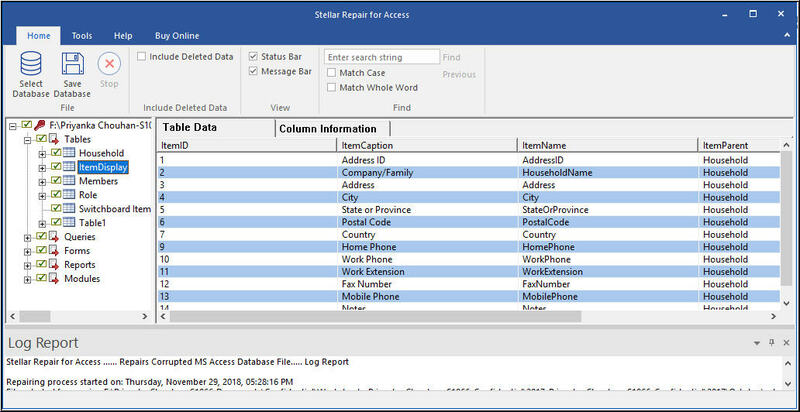 This Access database repair tool got the ability to restore tables, indexes, relations, and all other database objects. The software repairs linked tables and calculated data types with it non-destructive repair algorithms. Note: Microsoft Access must be installed on the computer. Run the MDB repair tool on your Windows-based computer. 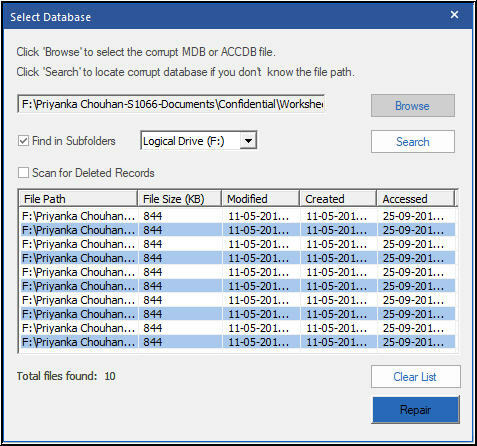 Click Browse option to locate and choose the corrupt MDB file. 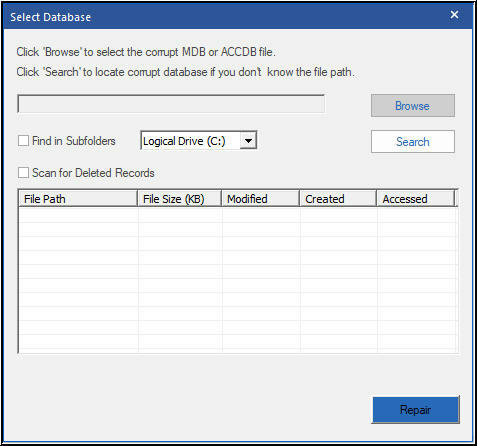 In case the location of the corrupt MDB file is unknown, click Search to find for the MDB files in the selected drive. The selected or searched MDB files will be listed in the search result box. The Clear List option is to clear the search result box. Amongst these items, select the one that is to be repaired, and then click Repair. The MDB repair software generates a Log Report and displays a progress bar at the extreme bottom. Once the MDB file is repaired successfully, it flashes the message notifying the same. Click OK and see the preview of the repaired tables and other database objects in the database. Click Save Databse File and select a destination to save the repaired MDB file. It should appear with the name like Repaired_YourDatabaseName when saved. With the destination selected, click OK to continue. Now, the software starts saving the repaired MDB file at the specified destination and you see a progress bar at the extreme bottom. Once it is done saving the repaired MDB file, it flashes a message notifying the same. With these steps, you are done completing the MDB database repair task. To avoid data loss in such events, back up your crucial files periodically. Q: Can I repair the deleted records from the corrupt MDB file? Answer: Yes, you can repair the deleted records from the corrupt MDB file. Q: Does this software fix "unrecognised database format" error? Answer: Yes, the MDB repair software fixes the "unrecognised database format" error. Q: I am using Windows 10 operating system. Is it compatible with Windows 10? Answer: Yes, MDF file repair software is compatible with windows 10, 8.1, 8, 7, Vista, XP and 2003. Q: I select the MDB file and repair it but, preview is not available. Why? Answer: This software only shows the preview of recoverable data. If you are not showing the preview that means, your data is severely corrupted. To find the reason you can check the log report which is available in the bottom of the interface. 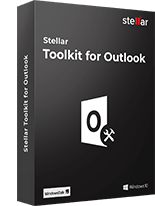 For more query, you can contact our support team at support(at)Stellarinfo(dot)com. 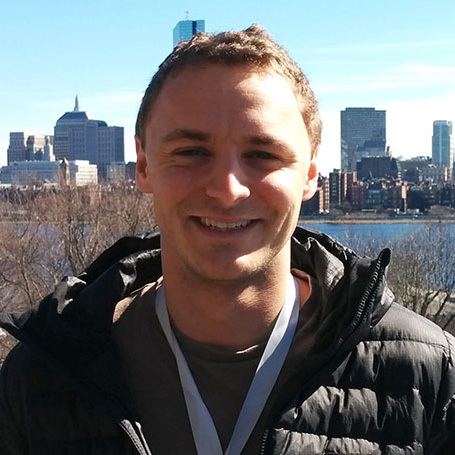 Q: Can I repair forms of my corrupt MDB file? Answer: Yes, you can repair forms of the corrupt MDB file. Q: How to fix "The Microsoft Jet Database Engine could not find object "error? Answer: This error occurs when database and its backup became corrupted. In this case, Our Microsoft Access Database Repair software can fix this problem. 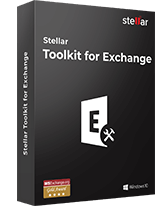 Q: Does this software support Microsoft Access 2016? 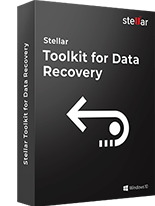 Answer: Yes, This MDB file recovery tool supports MS Access 2016. 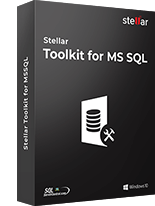 You can repair MS Access 2016 database and restore all inaccessible objects from it.